JEC Group presents its new format combining business meetings, conference sessions. Partners showcase presenting how and why composites offer benefits and opportunities through innovation market such as Automotive, Transportation, Construction, Aerospace, Energy, Sport etc. Join the composites community in Chicago, and let’s engage in business discussion through a unique networking approach. Composites are quickly becoming the material of choice in the Transportation, Infrastructure and Construction industries. Their unique properties make it possible to improve the quality of urban life and provide solutions for increasingly pressing environmental concerns. It has been estimated that by 2050, about 64% of the world population will be living in urban areas, while simultaneously, 80% of the world’s resources will be employed within them. As a direct consequence, new insights and solutions in Ground Transportation and Infrastructure are immediately necessary in order to manage the deficient resources that will be impacted by this trend, as well as operate new and regenerated urban spaces. 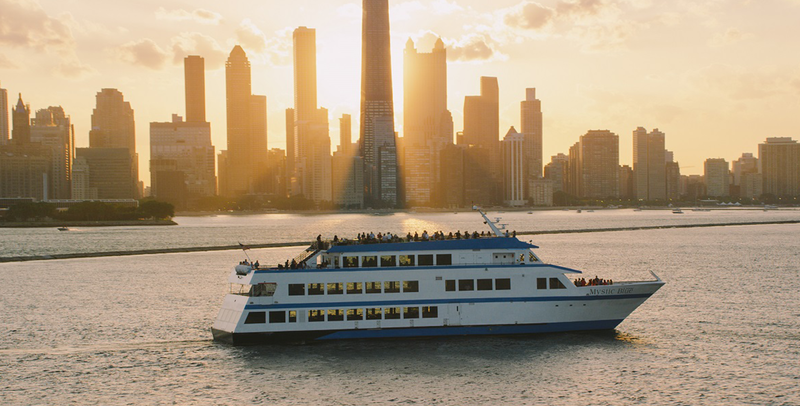 Take in Chicago’s iconic skyline and the scenic Chicago River with architecture and sightseeing cruise along Lake Michigan. To optimize your company’s participation during JEC Forum Chicago, we are pleased to introduce you our official Business Meetings program. This service is reserved for our Sponsors, VIP, Delegates and Business Meetings badges holders. Our team will ensure that you benefit the most from our JEC Forum Chicago with intensive, quality exchanges between composites experts. Receive your meetings schedule a few days before the event. Schedules will be organized according to the accepted meetings and participants’ availabilities. All meetings will be held at the heart of the event. HOW TO SIGN UP FOR BUSINESS MEETINGS? The Business Meetings service is reserved for our Sponsors, VIP, Delegates and Business Meetings badges holders. Startup Booster is the leading startup competition in the world of Composites. It enables companies to find and assess innovations with a potential impact on their industry, as a complement to the project they may are already involved in. Launched in 2017, Startup Booster has already fostered the emergence of 270+ innovative projects from 30+ countries, 30 finalists and 10 winners. Up to 10 startups will be selected to pitch in front of a jury of experts and leading industry players at JEC Forum Chicago 2019. Here’s a few good reasons why you should be a sponsor at JEC Forum Chicago 2019! JEC Forum Chicago is a great opportunity to market your company not only to those who visit the exhibit hall daily during the event, but also to all the conference delegates, VIPs, and business meetings participants at the networking opportunities throughout the day. We will host networking coffee breaks, lunches right in the Sponsors area, as well as a large networking reception, providing a great opportunity for high exposure among your peers and industry leaders. Arkema, Berndorf Belt Technology, Bossard AG, Chomarat North America LLC, Composite Fabrics Of America, Composites Coalition, ELG Carbon Fibre Limited, Impossible Objects, Janicki Industries Inc, Johns Manville, Lanxess Deutschland Gmbh, Luna Innovations Incorporated, Magnum Venus Products In, Mccoy, Michelman, Noritake Co. Limited, Norplex-Micarta, Schuler Inc, Scott Bader Company Limited, Techmer Engineered Solutions LLC, TFP Technology Gmbh and more. Business meetings access (pre-arranged business meetings) – A schedule with pre-arranged and approved meetings based on sponsor’s own choices. Unlimited access to the profiles of all participants to help the exhibitor identify and request meetings with companies they would like to target. Company name listed as a sponsor at the entrance of the event floor and your company logo projected on screen on stage during breaks as an official sponsor. Company logo listed as a main sponsor on every email blast promoting the JEC Forum to JEC Database. Company name displayed on the dedicated website and listed as a sponsor in the marketing emails to the JEC Database. Listed as a sponsor on the Thank You email and post-conference website. As a visitor, JEC Forum CHICAGO is a unique experience, once a year event that provides unparalleled opportunities for composites professional, networking opportunities, and long-lasting relationships. JEC Forum CHICAGO attracts community with high level industry professionals from all the composites value-chain involved in many markets such as Automotive, Ground Transportation, Construction, Aerospace, Energy, Sport and Leisure, Medical and more. So if you are in one of these industries our event is made for you! Technical Conference Focus: Following the success of our last two North-American events focusing on the Transportation, Infrastructure and Construction industries, this new edition is bringing together these two complimentary markets through technical presentations dedicated to the use of composite materials in Ground Transportation, Infrastructure and Construction. Chicago is the third largest city in the United States and boasts one of the USA’s most diverse economies. Choosing it as the home of JEC Group’s “JEC Forum” events was an easy decision considering its strategic position as a global transportation and infrastructure hub, supported by a large manufacturing network. 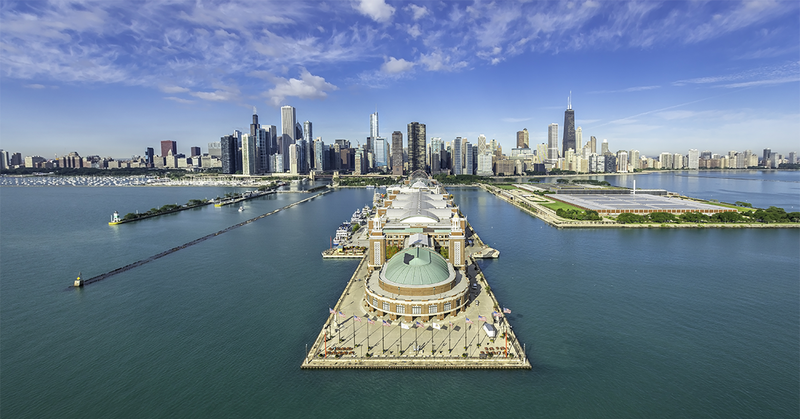 Chicago is one of the most connected cities, both nationally and globally, making it a prime destination for meeting events and conventions. It is easily Its history, and central location in North America have made it a focal point for connectivity and infrastructure accessible by air, train and road. Chicago offers diverse selection of accommodations perfect for any event with more than 41,000 hotel rooms within the Central Business District. Chicago is a city of experiences which offers many must-see attractions such as the famous Chicago Riverwalk, the Park at Wrigley Field, the museum of contemporary art, and breathtaking views of Lake Michigan. Overseas visitation for 2017 is estimated at 1.537 million. Sponsors, speakers, delegates and VIPs will all meet for a unique cruising experience along Lake Michigan. Join us at the Innovation Awards Ceremony on June 19, 2019! Next June, JEC Forum Chicago will put forward these composite champions in the fields of infrastructure, and ground transportation, and your company could be among them. The Lakeview Terrace will host our exhibition and networking area. It is an amazing urban loft space featuring exposed brick and floor-to-ceiling windows with breathtaking views of both Lake Michigan and the city skyline, Lakeview Terrace provides a one-of-a-kind setting for exhibitions. It gives access to the Aon Grand Ballroom where the technical conferences will take place. The Aon Grand ballroom will host our technical conferences. One of the jewels of Navy Pier is the historic Aon Grand Ballroom. Part of the Pier’s original 1916 construction and reminiscent of an era of elegance and splendor, the 18,000 square foot Aon Grand Ballroom embodies the magnificence of the past with all the amenities and services of the present. With a sweeping 80-foot domed ceiling and panoramic views of the lakefront, the Aon Grand Ballroom capitalizes on timeless architecture and the beauty of Chicago and the city itself. Connect with us, getting in touch with the JEC U.S. team today to find out how you can be part of this exclusive event. JEC Group is the world’s leading company dedicated entirely to the development of information and business connections channels and platforms supporting the growth and promotion of the composite materials industry. Publisher of the JEC Composites Magazine – the industry’s reference magazine, JEC Group drives global innovation programs and organizes several events in the world, including JEC World (the foremost and world-leading international exhibition dedicated to composite materials and their applications), which takes place every spring in Paris.